Composed by Paul Barker. 21st Century, Contemporary Classical, Modern. Score, Set of Parts. 75 pages. Published by Paul Barker (S0.416705). 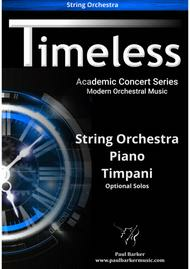 ‘Timeless’ is a magical trip into syncopation,alternating time signatures and ever-guessing where miss-placed beats mayeventually fall! Wonderfully tonal with driving rhythmic motifs and 4mischievous mini - Scherzos, this concert piece powers ahead to the very lastportamento note! Suitable for Competitions, Concerts, Festivals andOrchestral Clinics. 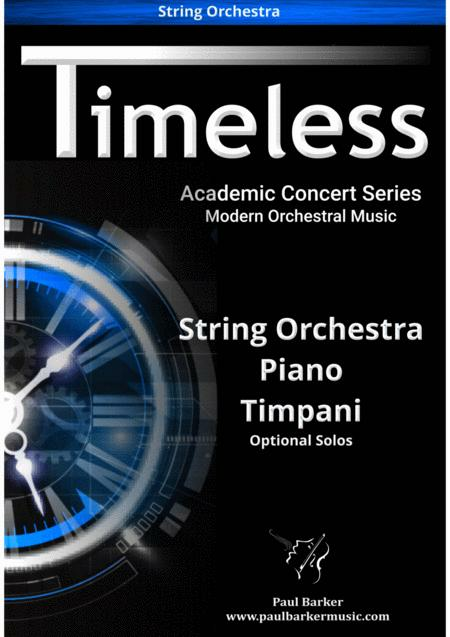 ﻿Suitable for Competitions, Concerts, Festivals andOrchestral Clinics.